A monthly literary periodical that published articles on politics, current affairs, history, education and music, alongside reviews and serialised novels. 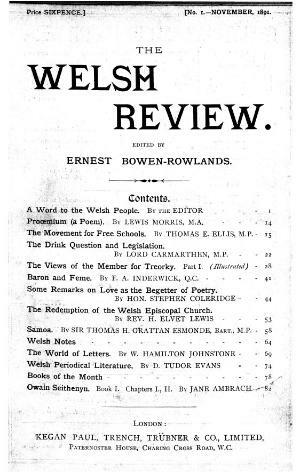 The periodical's editor was Ernest Bowen-Rowlands (b. 1866). Publisher Details: Kegan Paul, Trench, Trübner & Co., Limited.